CARFAX 1-Owner, BMW Certified, LOW MILES - 35,806! Sunroof, Heated Seats, Onboard Communications System, iPod/MP3 Input, Keyless Start, Dual Zone A/C, Diesel, Power Passenger Seat, HEATED FRONT SEATS, MOONROOF READ MORE!BUY WITH CONFIDENCECARFAX 1-Owner Unlimited Miles for 1-Year plus the balance of original new vehicle warranty (4-Year/50,000-Miles), 24-Hour BMW Roadside Assistance, Comprehensive Inspection and Reconditioning, Trip-Interruption Services, Trip-Planning ServicesOPTION PACKAGESMOONROOF, HEATED FRONT SEATS, DARK BURL WALNUT WOOD INTERIOR TRIM, TRANSMISSION: 8-SPEED STEPTRONIC AUTOMATIC (STD).KEY FEATURES INCLUDEKeyless Start, iPod/MP3 Input, Onboard Communications System, Turbocharged, Diesel, Factory Warranty, Dual Zone A/C, Power Passenger Seat, Power Driver Seats, Power Seats. Rear Air, Steering Wheel Controls, Keyless Entry, Heated Mirrors, Seat Memory. BMW 328d xDrive with Jet Black exterior and Black SensaTec interior features a 4 Cylinder Engine with 180 HP at 4000 RPM*.EXPERTS REPORTIf rear-seat accommodations are a priority, you won't find a more spacious backseat in the entry-luxury car class. Rear legroom is particularly generous. -Edmunds.com.BUY FROM AN AWARD WINNING DEALERAt BMW of Bayside, we strive to deliver 100% customer satisfaction from the moment you first contact our dealership. Our goal is to provide you with all the information you need to make an informed decision, whether you are purchasing a new BMW or pre-owned car, or servicing the BMW you currently own. We are confident that once you know the facts, you will choose to buy and service your next car from BMW of Bayside.Horsepower calculations based on trim engine configuration. Please confirm the accuracy of the included equipment by calling us prior to purchase. BMW Certified, CARFAX 1-Owner, LOW MILES - 33,292! Sunroof, Heated Seats, Keyless Start. Dual Zone A/C, Onboard Communications System, iPod/MP3 Input, Turbo, SPLIT FOLD-DOWN-REAR SEAT, POWER FRONT SEATS, MOONROOF READ MORE!BUY WITH CONFIDENCEUnlimited Miles for 1-Year plus the balance of original new vehicle warranty (4-Year/50,000-Miles), 24-Hour BMW Roadside Assistance, Comprehensive Inspection and Reconditioning, Trip-Interruption Services, Trip-Planning ServicesOPTION PACKAGESMOONROOF, POWER FRONT SEATS, DRIVER ASSISTANCE PACKAGE Rear View Camera, Park Distance Control, HEATED FRONT SEATS, SPLIT FOLD-DOWN-REAR SEAT.KEY FEATURES INCLUDEKeyless Start, iPod/MP3 Input, Onboard Communications System, Turbocharged, Factory Warranty, Dual Zone A/C. Rear Air, Steering Wheel Controls, Keyless Entry, Heated Mirrors, Tire Pressure Monitoring System. BMW 320i xDrive with Alpine White exterior and Black SensaTec interior features a 4 Cylinder Engine with 180 HP at 5000 RPM*.EXPERTS RAVEFrom its sporty driving character to its refined ride and cabin, the 2016 BMW 3 Series is exceptionally well rounded. It's a highly desirable compact luxury sport sedan, and one of our favorites in this class. -Edmunds.com.OUR OFFERINGSAt BMW of Bayside, we strive to deliver 100% customer satisfaction from the moment you first contact our dealership. Our goal is to provide you with all the information you need to make an informed decision, whether you are purchasing a new BMW or pre-owned car, or servicing the BMW you currently own. We are confident that once you know the facts, you will choose to buy and service your next car from BMW of Bayside.Horsepower calculations based on trim engine configuration. Please confirm the accuracy of the included equipment by calling us prior to purchase. BMW Certified, GREAT MILES 33,901! NAV, Sunroof, Heated Seats. iPod/MP3 Input, Dual Zone A/C, Panoramic Roof, Onboard Communications System, Turbo, COLD WEATHER PACKAGE, NAVIGATION SYSTEM, DARK BURL WALNUT WOOD TRIM READ MORE!SHOP WITH CONFIDENCEUnlimited Miles for 1-Year plus the balance of original new vehicle warranty (4-Year/50,000-Miles), 24-Hour BMW Roadside Assistance, Comprehensive Inspection and Reconditioning, Trip-Interruption Services, Trip-Planning ServicesOPTION PACKAGESPREMIUM PACKAGE Satellite Radio, Comfort Access Keyless Entry, Lumbar Support, NAVIGATION SYSTEM touchpad, Remote Services, Advanced Real-Time Traffic Information, BMW Online & BMW Apps, Instrument Cluster w/Extended Contents, DRIVER ASSISTANCE PACKAGE Rear View Camera, Park Distance Control, COLD WEATHER PACKAGE Heated Front Seats, Heated Rear Seats, Heated Steering Wheel, Retractable High-Intensity Headlight Washers, DARK BURL WALNUT WOOD TRIM.KEY FEATURES INCLUDESunroof, iPod/MP3 Input, Onboard Communications System, Panoramic Roof, Turbocharged, Factory Warranty, Dual Zone A/C. Power Liftgate, Rear Air, Steering Wheel Controls, Heated Mirrors, Seat Memory. BMW 328i xDrive with Imperial Blue Metallic exterior and Venetian Beige Dakota Leather interior features a 4 Cylinder Engine with 240 HP at 5000 RPM*.EXPERTS ARE SAYINGnewCarTestDrive.com explains In any BMW 3 Series variant, refined handling and near 50/50 weight distribution make them a joy to drive. With the switch of a drive mode, the 3 Series can go from comfortable daily driver to racy canyon carver. Engine, transmission, steering and brakes work in harmony..VISIT US TODAYAt BMW of BaysideHorsepower calculations based on trim engine configuration. Please confirm the accuracy of the included equipment by calling us prior to purchase. BMW Certified, GREAT MILES 32,772! NAV, Sunroof, Heated Leather Seats, Turbo. Diesel, Onboard Communications System, iPod/MP3 Input, COLD WEATHER PACKAGE, DARK WOOD TRIM, TRANSMISSION: 8-SPEED AUTOMATIC W/STE... AND MORE!SHOP WITH CONFIDENCEUnlimited Miles for 1-Year plus the balance of original new vehicle warranty (4-Year/50,000-Miles), 24-Hour BMW Roadside Assistance, Comprehensive Inspection and Reconditioning, Trip-Interruption Services, Trip-Planning ServicesOPTION PACKAGESDRIVER ASSISTANCE PACKAGE Rear View Camera, Head-Up Display, Park Distance Control, Instrument Cluster w/Extended Contents, PREMIUM PACKAGE Power Tailgate, Satellite Radio, Comfort Access Keyless Entry, COLD WEATHER PACKAGE Heated Front Seats, Heated Rear Seats, Heated Steering Wheel, Retractable Headlight Washers, TRANSMISSION: 8-SPEED AUTOMATIC W/STEPTRONIC (STD), DARK WOOD TRIM.KEY FEATURES INCLUDENavigation, Sunroof, Leather Seats, iPod/MP3 Input, Onboard Communications System, Turbocharged, Diesel, Factory Warranty, Dual Zone A/C, Power Driver Seats, Power Passenger Seat, Power Seats, Heated Leather Seats. Rear Air, Steering Wheel Controls, Heated Mirrors, HID headlights, Seat Memory. BMW 535d xDrive with Black Sapphire Metallic exterior and Cinnamon Brown Dakota Leather interior features a Straight 6 Cylinder Engine with 255 HP at 4000 RPM*.EXPERTS ARE SAYINGThe front seats are quite comfortable. In back, there's enough room for a pair of 6-foot adults to be comfortable, and the backseat is nicely contoured and padded. 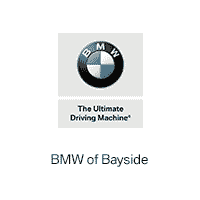 -Edmunds.com.WHO WE AREAt BMW of Bayside, we strive to deliver 100% customer satisfaction from the moment you first contact our dealership. Our goal is to provide you with all the information you need to make an informed decision, whether you are purchasing a new BMW or pre-owned carHorsepower calculations based on trim engine configuration. Please confirm the accuracy of the included equipment by calling us prior to purchase. BMW Certified, CARFAX 1-Owner, LOW MILES - 17,031! Nav System, Moonroof, Heated Seats, Dual Zone A/C, Onboard Communications System, Turbo Charged Engine, iPod/MP3 Input. Aluminum Wheels, DRIVER ASSISTANCE PACKAGE CLICK ME!BUY WITH CONFIDENCEUnlimited Miles for 1-Year plus the balance of original new vehicle warranty (4-Year/50,000-Miles), 24-Hour BMW Roadside Assistance, Comprehensive Inspection and Reconditioning, Trip-Interruption Services, Trip-Planning ServicesOPTION PACKAGESTECHNOLOGY PACKAGE Head-Up Display, Navigation System, Remote Services, Advanced Real-Time Traffic Information, BMW Online & BMW Apps, Instrument Cluster w/Extended Contents, PREMIUM PACKAGE LED Headlights, Moonroof, Satellite Radio, Comfort Access Keyless Entry, Lumbar Support, DRIVER ASSISTANCE PLUS Speed Limit Information, Active Driving Assistant, lane departure warning, forward collision warning, pedestrian warning and city collision mitigation, Active Blind Spot Detection, Side & Top View Cameras, DRIVER ASSISTANCE PACKAGE Rear View Camera, Park Distance Control, COLD WEATHER PACKAGE Heated Front Seats, Heated Rear Seats, Heated Steering Wheel, SPORT SEATS (STD).KEY FEATURES INCLUDEiPod/MP3 Input, Onboard Communications System, Turbocharged, Factory Warranty, Dual Zone A/C. Rear Air, Steering Wheel Controls, Heated Mirrors, Seat Memory, Rain Sensing Wipers. BMW 328i xDrive with Alpine White exterior and Saddle Brown Dak Lthr + dash interior features a 4 Cylinder Engine with 240 HP at 5000 RPM*.EXPERTS ARE SAYINGFrom its sporty driving character to its refined ride and cabin, the 2016 BMW 3 Series is exceptionally well rounded. It's a highly desirable compact luxury sport sedan, and one of our favorites in this class. -Edmunds.com.WHO WE AREAt BMW of BaysideHorsepower calculations based on trim engine configuration. Please confirm the accuracy of the included equipment by calling us prior to purchase. CARFAX 1-Owner, BMW Certified, LOW MILES - 11,266! Moonroof, Heated Seats, Navigation, Aluminum Wheels, iPod/MP3 Input, Turbo Charged, Dual Zone A/C, Onboard Communications System. FINE-WOOD 'FINELINE' TRIM W/PEARL CHR... READ MORE!PURCHASE WITH CONFIDENCECARFAX 1-Owner Unlimited Miles for 1-Year plus the balance of original new vehicle warranty (4-Year/50,000-Miles), 24-Hour BMW Roadside Assistance, Comprehensive Inspection and Reconditioning, Trip-Interruption Services, Trip-Planning ServicesOPTION PACKAGESPREMIUM PACKAGE Universal Garage-Door Opener, Auto-Dimming Interior & Driver Exterior Mirrors, Auto-Dimming Rearview Mirror, LED Headlights w/Cornering Lights, Power-Folding Mirrors, Panoramic Moonroof, Satellite Radio, Ambiance Lighting, Comfort Access Keyless Entry, Lumbar Support, NAVIGATION BUSINESS Remote Services, Advanced Real-Time Traffic Information, BMW Connected App Compatibility, BMW Online & BMW Apps, DRIVER ASSISTANCE PACKAGE Rear View Camera, Park Distance Control, Parking Assistant, COLD WEATHER PACKAGE Heated Front Seats, FINE-WOOD 'FINELINE' TRIM W/PEARL CHROME ACCENT, TRANSMISSION: 8-SPEED STEPTRONIC AUTOMATIC sport and manual shift modes and Adaptive Transmission Control (ATC) (STD), RUNFLAT TIRES.KEY FEATURES INCLUDEiPod/MP3 Input, Onboard Communications System, Turbocharged, Factory Warranty, Dual Zone A/C Power Liftgate, Privacy Glass, Steering Wheel Controls, Heated Mirrors, Seat Memory. BMW xDrive28i with Mineral Grey Metallic exterior and Black SensaTec interior features a 4 Cylinder Engine with 228 HP at 5000 RPM*.EXPERTS CONCLUDEEdmunds.com explains Spacious interior with high-quality furnishings; smooth and strong four-cylinder engine with better-than-average fuel economy..BUY FROM AN AWARD WINNING DEALERAt BMW of BaysideHorsepower calculations based on trim engine configuration. Please confirm the accuracy of the included equipment by calling us prior to purchase. BMW Certified, CARFAX 1-Owner, LOW MILES - 22,112! Sunroof, Heated Seats, Navigation, iPod/MP3 Input, Keyless Start, Dual Zone A/C, Onboard Communications System. NAVIGATION SYSTEM, HEATED FRONT SEATS, Turbo Charged SEE MORE!SHOP WITH CONFIDENCEUnlimited Miles for 1-Year plus the balance of original new vehicle warranty (4-Year/50,000-Miles), 24-Hour BMW Roadside Assistance, Comprehensive Inspection and Reconditioning, Trip-Interruption Services, Trip-Planning ServicesOPTION PACKAGESNAVIGATION SYSTEM Remote Services, Advanced Real-Time Traffic Information, BMW Online & BMW Apps, Instrument Cluster w/Extended Contents, DRIVER ASSISTANCE PACKAGE Rear View Camera, Park Distance Control, HEATED FRONT SEATS.KEY FEATURES INCLUDEKeyless Start, Sunroof, iPod/MP3 Input, Onboard Communications System, Turbocharged, Factory Warranty, Dual Zone A/C, Power Driver Seats, Power Passenger Seat, Power Seats Rear Air, Steering Wheel Controls, Keyless Entry, Heated Mirrors, HID headlights. BMW 428i xDrive with Jet Black exterior and Black SensaTec/Red Stitching interior features a 4 Cylinder Engine with 240 HP at 5000 RPM*.EXPERTS RAVEEdmunds.com's review says Dynamic handling; powerful yet fuel-efficient engines; upscale interior with straightforward controls and spacious seating..OUR OFFERINGSAt BMW of Bayside, we strive to deliver 100% customer satisfaction from the moment you first contact our dealership. Our goal is to provide you with all the information you need to make an informed decision, whether you are purchasing a new BMW or pre-owned car, or servicing the BMW you currently own. We are confident that once you know the facts, you will choose to buy and service your next car from BMW of Bayside.Horsepower calculations based on trim engine configuration. Please confirm the accuracy of the included equipment by calling us prior to purchase. CARFAX 1-Owner, BMW Certified, GREAT MILES 29,443! Nav System, Heated Seats, Turbo Charged Engine, Dual Zone A/C, iPod/MP3 Input. Aluminum Wheels, POWER FRONT BUCKET SEATS, TRANSMISSION: 8-SPEED STEPTRONIC AUTO... AND MORE!PURCHASE WITH CONFIDENCECARFAX 1-Owner Unlimited Miles for 1-Year plus the balance of original new vehicle warranty (4-Year/50,000-Miles), 24-Hour BMW Roadside Assistance, Comprehensive Inspection and Reconditioning, Trip-Interruption Services, Trip-Planning ServicesOPTION PACKAGESNAVIGATION SYSTEM Remote Services, Advanced Real-Time Traffic Information, BMW Online & BMW Apps, DRIVER ASSISTANCE PACKAGE Rear View Camera, Park Distance Control, HEATED FRONT SEATS, TRANSMISSION: 8-SPEED STEPTRONIC AUTOMATIC (STD), POWER FRONT BUCKET SEATS 8-way power adjustable front seats w/2-way manual headrests (STD).KEY FEATURES INCLUDEiPod/MP3 Input, Turbocharged, Factory Warranty, Dual Zone A/C. Power Liftgate, Privacy Glass, Steering Wheel Controls, Keyless Entry, Tire Pressure Monitoring System. BMW xDrive28i with Melbourne Red Metallic exterior and Black SensaTec interior features a 4 Cylinder Engine with 240 HP at 5000 RPM*.EXPERTS ARE SAYINGEdmunds.com's review says Room for front passengers is ample by every measure, while rear legroom is downright generous and pairs with a truly comfortable seat..VISIT US TODAYAt BMW of Bayside, we strive to deliver 100% customer satisfaction from the moment you first contact our dealership. Our goal is to provide you with all the information you need to make an informed decision, whether you are purchasing a new BMW or pre-owned car, or servicing the BMW you currently own. We are confident that once you know the facts, you will choose to buy and service your next car from BMW of Bayside.Horsepower calculations based on trim engine configuration. Please confirm the accuracy of the included equipment by calling us prior to purchase. BMW Certified, CARFAX 1-Owner, ONLY 36,602 Miles! Moonroof, Navigation, Heated Seats, Third Row Seat, Keyless Start. Diesel, Onboard Communications System, iPod/MP3 Input, 3RD ROW SEAT, REAR-VIEW CAMERA, Turbo Charged SEE MORE!PURCHASE WITH CONFIDENCEUnlimited Miles for 1-Year plus the balance of original new vehicle warranty (4-Year/50,000-Miles), 24-Hour BMW Roadside Assistance, Comprehensive Inspection and Reconditioning, Trip-Interruption Services, Trip-Planning ServicesOPTION PACKAGES3RD ROW SEAT 3rd Row Seat Climate Control, Rear Axle Air Suspension, COLD WEATHER PACKAGE Heated Rear Seats, Heated Steering Wheel, High-Intensity Retractable Headlight Washers, REAR-VIEW CAMERA, TRANSMISSION: 8-SPEED AUTOMATIC W/STEPTRONIC (STD).KEY FEATURES INCLUDENavigation, Keyless Start, iPod/MP3 Input, Onboard Communications System, Heated Seats, Turbocharged, Diesel, Dual Moonroof, Factory Warranty, Dual Zone A/C, Power Passenger Seat, Power Driver Seats, Heated Seats, Power Seats Power Liftgate, Privacy Glass, Steering Wheel Controls, Keyless Entry, Heated Mirrors. BMW xDrive35d with Imperial Blue Metallic exterior and Ivory White/Blk Dakota Leather interior features a Straight 6 Cylinder Engine with 255 HP at 4000 RPM*.VEHICLE REVIEWSEdmunds.com explains The 2014 BMW X5 is one of the best-handling midsize luxury crossovers around. Whether driving on back roads or on an endless expanse of interstate, the X5 is a champ, feeling secure and stable yet also relatively nimble and fun to drive..MORE ABOUT USAt BMW of Bayside, we strive to deliver 100% customer satisfaction from the moment you first contact our dealership. Our goal is to provide you with all the information you need to make an informed decision, whether you are purchasing a new BMW or pre-owned carHorsepower calculations based on trim engine configuration. Please confirm the accuracy of the included equipment by calling us prior to purchase. CARFAX 1-Owner, BMW Certified, GREAT MILES 25,583! Sunroof, Heated Seats, Navigation, Alloy Wheels, iPod/MP3 Input, Dual Zone A/C. Turbo Charged, COLD WEATHER PACKAGE, POWER FRONT BUCKET SEATS, TECHNOLOGY PACKAGE SEE MORE!SHOP WITH CONFIDENCECARFAX 1-Owner Unlimited Miles for 1-Year plus the balance of original new vehicle warranty (4-Year/50,000-Miles), 24-Hour BMW Roadside Assistance, Comprehensive Inspection and Reconditioning, Trip-Interruption Services, Trip-Planning ServicesOPTION PACKAGESPREMIUM PACKAGE Panoramic Moonroof, Satellite Radio, Comfort Access Keyless Entry, Lumbar Support, TECHNOLOGY PACKAGE Instrument Cluster w/Extended Contents, Head-Up Display, Navigation System, Remote Services, Advanced Real-Time Traffic Information, BMW Online & BMW Apps, DRIVER ASSISTANCE PACKAGE Rear View Camera, Park Distance Control, COLD WEATHER PACKAGE Heated Front Seats, Heated Rear Seats, Heated Steering Wheel, Retractable Headlight Washers, TRANSMISSION: 8-SPEED STEPTRONIC AUTOMATIC (STD), POWER FRONT BUCKET SEATS 8-way power adjustable front seats w/2-way manual headrests (STD).KEY FEATURES INCLUDEiPod/MP3 Input, Turbocharged, Factory Warranty, Dual Zone A/C Power Liftgate, Privacy Glass, Steering Wheel Controls, Tire Pressure Monitoring System, Rain Sensing Wipers. BMW xDrive28i with Alpine White exterior and Saddle Brown Nevada Leather interior features a 4 Cylinder Engine with 240 HP at 5000 RPM*.EXPERTS CONCLUDERoom for front passengers is ample by every measure, while rear legroom is downright generous and pairs with a truly comfortable seat. -Edmunds.com.BUY FROM AN AWARD WINNING DEALERAt BMW of Bayside, we strive to deliver 100% customer satisfaction from the moment you first contact our dealership. Our goal is to provide you with all the information you need to make an informed decisionHorsepower calculations based on trim engine configuration. Please confirm the accuracy of the included equipment by calling us prior to purchase. ONLY 14,972 Miles! Moonroof, Heated Seats, Nav System, Aluminum Wheels, iPod/MP3 Input, Dual Zone A/C. Turbo Charged Engine, HEATED FRONT SEATS, POWER FRONT BUCKET SEATS, TRANSMISSION: 8-SPEED STEPTRONIC AUTO... CLICK NOW!OPTION PACKAGESPREMIUM PACKAGE Panoramic Moonroof, Satellite Radio, Comfort Access Keyless Entry, Lumbar Support, NAVIGATION SYSTEM Remote Services, Advanced Real-Time Traffic Information, BMW Online & BMW Apps, DRIVER ASSISTANCE PACKAGE Rear View Camera, Park Distance Control, HEATED FRONT SEATS, TRANSMISSION: 8-SPEED STEPTRONIC AUTOMATIC (STD), POWER FRONT BUCKET SEATS 8-way power adjustable front seats w/2-way manual headrests (STD).KEY FEATURES INCLUDEiPod/MP3 Input, Turbocharged, Factory Warranty, Dual Zone A/C Power Liftgate, Privacy Glass, Steering Wheel Controls, Tire Pressure Monitoring System, Rain Sensing Wipers. BMW xDrive28i with Mineral White Metallic exterior and Black Nevada Leather interior features a 4 Cylinder Engine with 240 HP at 5000 RPM*.EXPERTS ARE SAYINGEdmunds.com's review says Room for front passengers is ample by every measure, while rear legroom is downright generous and pairs with a truly comfortable seat..VISIT US TODAYAt BMW of Bayside, we strive to deliver 100% customer satisfaction from the moment you first contact our dealership. Our goal is to provide you with all the information you need to make an informed decision, whether you are purchasing a new BMW or pre-owned car, or servicing the BMW you currently own. We are confident that once you know the facts, you will choose to buy and service your next car from BMW of Bayside.Horsepower calculations based on trim engine configuration. Please confirm the accuracy of the included equipment by calling us prior to purchase. BMW Certified. NAV, Sunroof, Heated Seats, Turbo. Brake Actuated Limited Slip Differential, Dual Zone A/C, iPod/MP3 Input, NAVIGATION SYSTEM, HEATED FRONT SEATS, POWER FRONT BUCKET SEATS, Alloy Wheels, PREMIUM PACKAGE AND MORE!BUY WITH CONFIDENCEUnlimited Miles for 1-Year plus the balance of original new vehicle warranty (4-Year/50,000-Miles), 24-Hour BMW Roadside Assistance, Comprehensive Inspection and Reconditioning, Trip-Interruption Services, Trip-Planning ServicesOPTION PACKAGESPREMIUM PACKAGE Satellite Radio, Comfort Access Keyless Entry, Lumbar Support, NAVIGATION SYSTEM Remote Services, Advanced Real-Time Traffic Information, BMW Online & BMW Apps, DRIVER ASSISTANCE PACKAGE Rear View Camera, Park Distance Control, HEATED FRONT SEATS, POWER FRONT BUCKET SEATS 8-way power adjustable front seats w/2-way manual headrests (STD).KEY FEATURES INCLUDESunroof, iPod/MP3 Input, Turbocharged, Factory Warranty, Dual Zone A/C, Brake Actuated Limited Slip Differential. Power Liftgate, Privacy Glass, Steering Wheel Controls, HID headlights, Rain Sensing Wipers. BMW xDrive28i with Dark Graphite Metallic exterior and Oyster Nevada Leather interior features a 4 Cylinder Engine with 240 HP at 5000 RPM*.EXPERTS CONCLUDEIn any form, the X4 exhibits excellent high-speed stability and generally holds road noise to an absolute minimum. -Edmunds.com.BUY FROM AN AWARD WINNING DEALERAt BMW of Bayside, we strive to deliver 100% customer satisfaction from the moment you first contact our dealership. Our goal is to provide you with all the information you need to make an informed decision, whether you are purchasing a new BMW or pre-owned car, or servicing the BMW you currently own. We are confident that once you know the facts, you will choose to buy and service your next car from BMW of Bayside.Horsepower calculations based on trim engine configuration. Please confirm the accuracy of the included equipment by calling us prior to purchase.